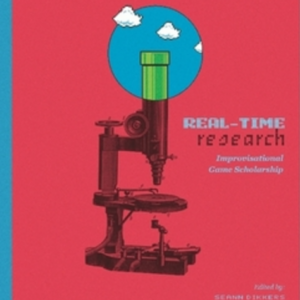 This book considers videogames as spaces of political philosophy. Emerging from a negotiation between designers, player and computer, they prompt us to rethink life in common and imagine alternatives to the status quo. 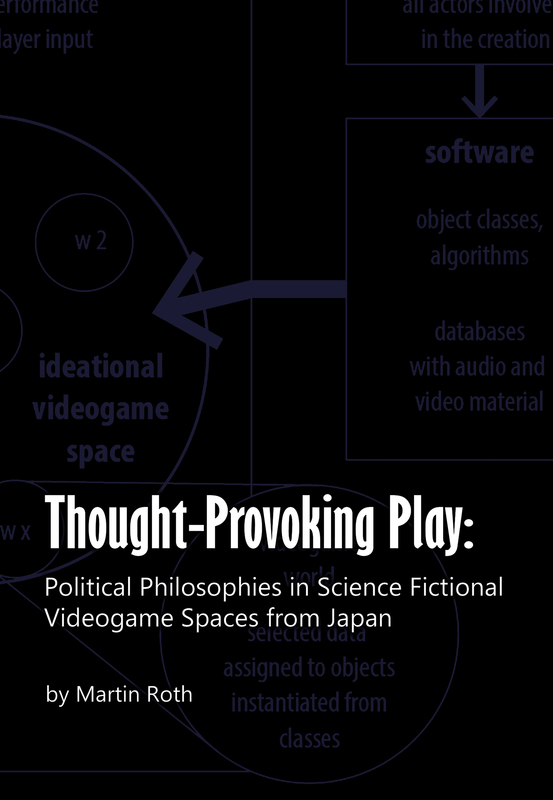 Several case studies on science fictional videogames from Japan serve to demonstrate this potential for thought-provoking play. This book aims to show that videogames can be radically political spaces that prompt us to rethink the foundations of life in common and imagine alternatives to our present situation. Their expressive and experiential qualities emerge from a negotiation between the designers, the player and the computer, which may result in thought-provoking conflicts at play. At the same time, this negotiation constitutes a distinct, exploratory mode of thinking, which invites us to actively experiment with novel ideas. The potential of the medium is explored both theoretically and in the analysis of selected science fictional videogames from Japan. While we may not discover full-fledged utopia, these examples stimulate our thinking beyond the familiar, thus potentially guiding our political action towards improvement and change. 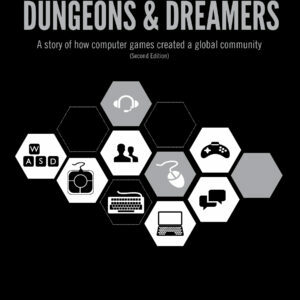 The first part of the book introduces the idea of videogame space as a negotiation between designers, player and computer. 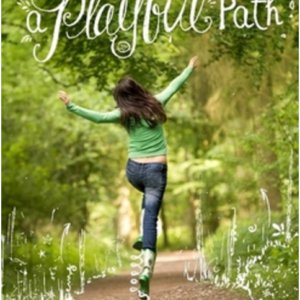 Thought-provoking conflicts can emerge in this space at play, which features world multiplicity, contingency, partiality and semantic arbitrariness of representation, player enactment and a broad range of variously combined expressive means. The second part analyzes a series of videogames, many of which succeed in stimulating our imagination of alternatives to the status quo in intriguing ways. The first case study offers an experimental approach to some popular franchises in the genre of science fiction, such as the Gundam franchise, Front Mission, Ace Combat and Armored Core. The second case study looks at the ways in which Chrono Trigger and Shadow of Memories play with time. Against the background of Virilio’s dromology and his warning against the limitless acceleration of life, it is examined how the negotiation between a complex narrative structure created by the designers and player choices confronts the player with a paradoxical temporal multiplicity that challenges our common, linear concept of time. Another case study explores the political potential of aesthetic experiences in Rez, The Earth Defence Forces and Shinseiki Evangerion 2. It asks whether videogames offer ways to alter what Jacques Rancière calls “the distribution of the sensible,” i.e. the boundaries of what can be said and thought. In the last case study, game rules and action are considered, drawing on thinkers like Hannah Arendt and Giorgio Agamben. An exploration of the tension between rules specified by the designers, computer performance and player action created in the Metal Gear Solid series shows that the conflicts openly played out in these games offer the player spaces for experiencing (bureaucratic) control and exploring counter-measures. 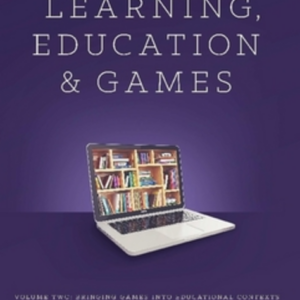 Taken together, the case studies offer a series of hints for critical engagements with videogames as spaces of political philosophy. The games examined offer deeply unsettling, disruptive moments that may stimulate our imagination of radical alternatives. With this book, Martin Roth hopes to inspire game designers, players and scholars to explore these potentials, as much as the limitations, further.